Manchester City laid down the gauntlet earlier in the afternoon, beating Crystal Palace 3-1 at Selhurst Park. Liverpool, going into their Super Sunday clash with Chelsea, knew then needed to win to regain top spot in the Premier League. Faced with a Blues side determined to claim a top-four place this term, Jurgen Klopp’s men were ruthless, winning 2-0 and taking their points total for the season to an incredible 85 with four games to play. City may still have a game in hand, but Liverpool’s form is imperious and they won’t be giving up on their dream of a first top-flight title in 29 years without a fight. Here are five things we learned from the Reds’ victory over Chelsea at Anfield on Sunday. 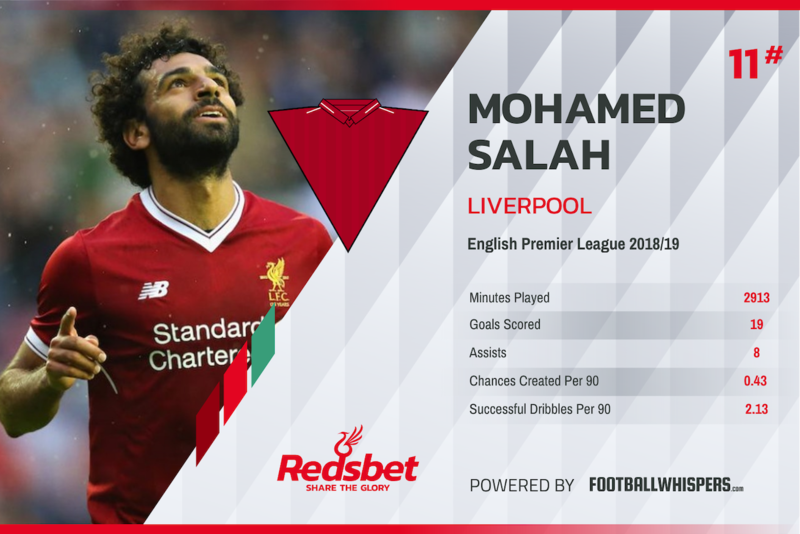 Judging against the improbably high standards he set for himself last year, this has been a modest season for Mohamed Salah, albeit one in which his tally of 19 goals sees him sharing top spot in the Premier League scoring charts with Sergio Aguero. But, while he is unlikely to match last term’s productivity, Salah has still proven himself capable of moments of inspiration, and none have been more jaw-dropping than his stunning strike against the Blues on Sunday. Cutting in from the right in customary style, Salah unleashed a rocket of a left-footed shot into the top scorer from 25 yards, leaving Chelsea goalkeeper Kepa Arrizabalaga grasping at thin air. It was his most brilliant goal yet for Liverpool, and it might well see him in contention to retain the Puskas award for 2019. Are we getting into the last four of the Champions League? Salah’s wonder-strike was the icing on the cake but, two minutes earlier, it was Sadio Mane, with a back-post header from a Jordan Henderson cross, who opened the scoring. The Senegelse is enjoying a banner campaign this term, having now scored 21 times in all competitions. And the former Southampton man has developed a priceless knack of scoring in the biggest games, having notched last season in the Champions League final and against Bayern Munich, Arsenal, Manchester United and now Chelsea in 2018/19. 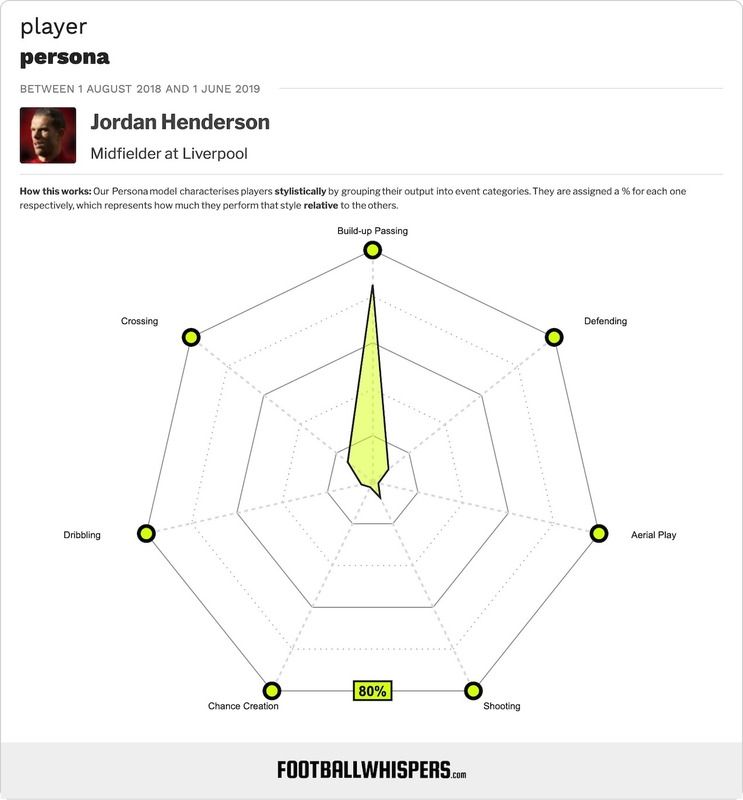 As the deepest of Liverpool’s midfield three, captain Jordan Henderson divides opinion among fans. Some feel that he doesn’t have the requisite vision and incisiveness to control games from the deep-lying playmaker’s position, while others value his leadership and discipline in the role. However, deployed as a No.8, with Fabinho in the protective role behind him, Reds supporters have been united in their praise of the England midfielder in recent weeks. In addition to his assist for the opener, Henderson was brimming with energy as he rampaged up and down the pitch against Chelsea and the former Sunderland star can always be relied upon in possession. It seems that, rather than being a case of either/or, Fabinho and Henderson together in midfield is the way forward for the Reds. Another clean sheet means that Liverpool continue to own the meanest defensive record in the Premier League this season, having shipped just 20 goals in 34 games; City (22) are the only other side in the English top flight to have conceded fewer than 30. While much of the focus when it comes to assessing the Reds strengths remains trained on the dynamic and potent front three of Salah, Mane and Roberto Firmino, if Klopp’s men are to go on and win the title this term it will be a triumph of defensive fortitude. Sadio & Mo BOTH to score vs Porto? Boosted Odds to 7/1* ! And that, of course, is due in no small part to the influence of Virgil van Dijk, the man whose £75million signing from Southampton in January 2018 now looks an absolute steal. Naby Keita’s long-awaited arrival at Anfield last summer was greeted with great anticipation and excitement; having pursued the Guinean midfielder for more than a year, Liverpool had the man they believed could take their middle third to the next level. Signed from RB Leipzig for £52million, Keita has taken time to adapt to life in the Premier League, with his impact this season falling some way short of most hopes and expectations. But the last few weeks have seen the former Bundesliga standout begin to rediscover his best form. Dynamic, disciplined and able to break opposition lines with passes and dribbles, an on-song Keita is a shoo-in for a starting berth at Anfield. And the 24-year-old showed an impressive degree of maturity against Chelsea, at one point deliberately slowing the pace of play after his side had come under a period of sustained pressure.